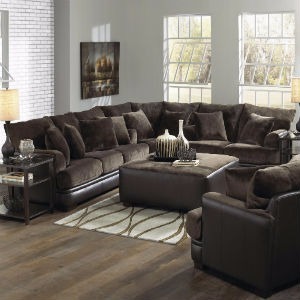 National Warehouse Furniture has been a locally owned and operated furniture store in Buffalo, NY and has been serving our customers since 1995. We are your go-to furniture store in the WNY area. Our extensive selection allows us to help you make your entire home functional, comfortable, and stylish at an affordable price. National Warehouse Furniture has a variety of choices, so we can make sure you find exactly what you’re looking for. We offer custom orders at no extra charge so your home fits your style! Above all our goal is to provide quality furniture at an affordable price. Promotions and special offers are always available for you on Local Saver, our special offers and sale pages, and posted on our Facebook! Whether you are looking for a Twin or a King size mattress, National Warehouse Furniture will fit your needs. We have whatever size you are looking for in your budget! New sectional, or a simple ottoman, we have prices that our competitors can’t complete with! Visit us to make your home fit your style! Stylish and comfortable, yet affordable- you can’t go wrong with the best selection of bedroom sets we have to offer! Chairs, dining tables, barstools and more all at affordable prices. We offer simple, fast, and transparent no credit financing. You can even apply for credit approval online before you walk through our doors! With West Creek Financial there is no credit needed, high approval rates, and early payoff discounts. The only things you will need to apply is identification, an initial payment, and your bank information.